After visiting Athens for the on-arrival and mid-term training, I was ready for something else. I really love Greece, but I’m not a big fan of Athens. The city doesn’t make me happy in any way. I have seen other big cities that were also crowded, but still gave you more space to breathe. Athens feels a bit suffocating to me. With some friends we decided to visit other EVS’ers in Thessaloniki and to explore the city. After our mid-term training we took the train in the afternoon. The tickets are only 12 euros with the youth card and it takes around 5 hours to get there. We stayed with a few EVS’ers that live in the higher area of the city. 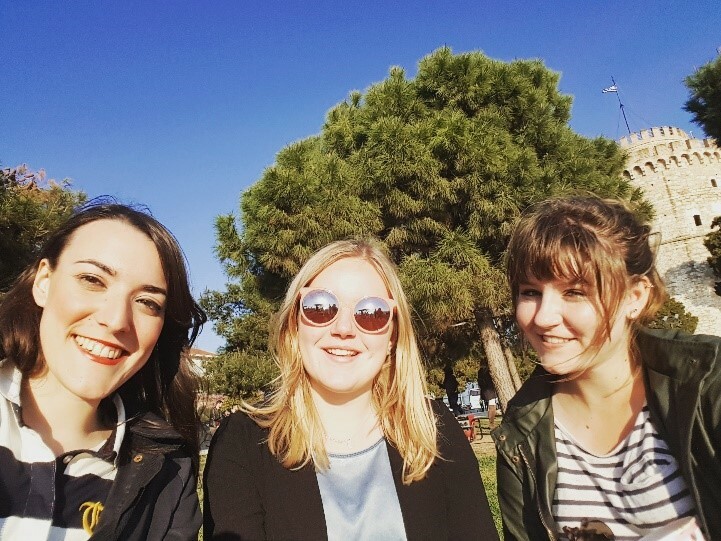 We were really tired, because of the seminar in Athens but we decided that we still wanted to go out because it was weekend. We had dinner with a big group in a nice taverna and afterwards we went to a small square where a lot of (Erasmus)students were hanging out and having a drink. Later in the night we found a nice and trendy rock bar, where people were actually dancing!! The whole night was awesome. The rest of the weekend we walked around the city and did some sight-seeing. 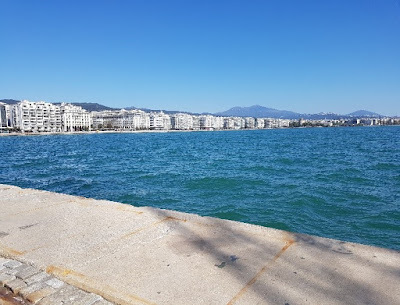 We had very nice weather, so I spend a long time walking next to the sea. 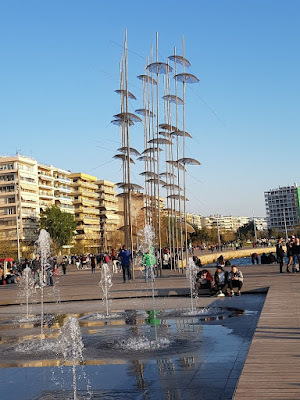 Thessaloniki has a long history and was occupied by different groups many times. I really liked visiting the byzantine churches and there is even a byzantine museum, but unfortunately I didn’t have time to visit it. Thessaloniki has the perfect balance between the busy city life and the relaxed Greek culture. The people are nice and feel completely free to express themselves, which I sometimes miss a little bit in Kalamata. Another good thing is the food! <3 There are so many nice taverna’s, coffee bars and even salad bars and it’s all very cheap, which is also very important for us EVS’ers. 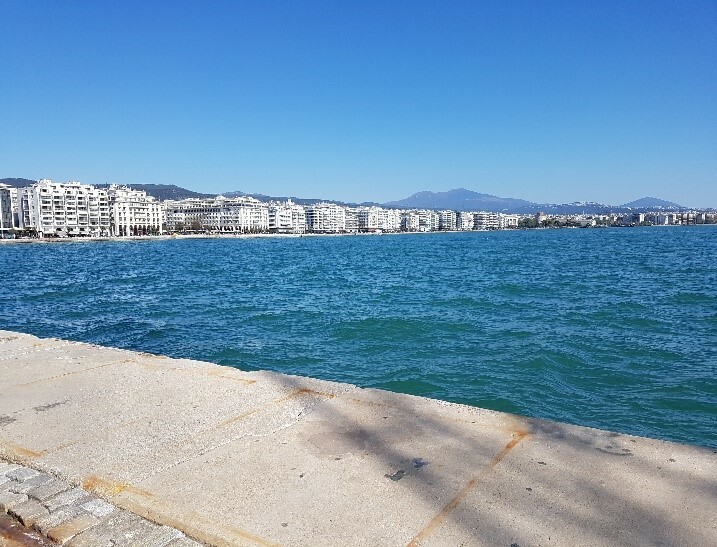 ;) All by all it is an amazing city… Thessaloniki really feels alive!